Sunshine Natural Foods offers the HCG diet plan by phone and internet all over the United States. However our primary business for the past 18 years has been from an actual retail storefront in Grants Pass, Oregon that has real, live people walking through the front door. Between our retail store and telephone sales we have literally spoken with thousands of HCG dieters about their real-world weightloss results. We have the huge advantage of out customers’ vast experience when speaking about HCG diet results and possible side effects. When we hear about an alleged major or minor benefit or problem about any healing modality or product from 2 or 3 people we keep our eyes and ears open for corroborating data or stories. When we hear similar stories from dozens and then hundreds of real people we begin to call those common. 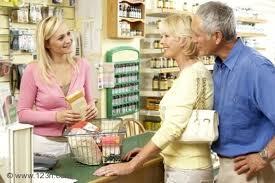 Lower Blood Sugar: Real customers report they have been able to discontinue prescription insulin injections. A very large number who scientifically monitor themselves daily and had elevated blood sugar numbers are elated to report their blood sugar is usually well under 100 since starting the HCG diet. Many have discontinued prescription insulin. Lower Blood Cholesterol: Cholesterol reductions of about one third are what countless dozens of our customers have reported. Usually a more optimum hdl to ldl ratio is reported as well. 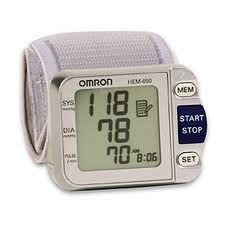 Lower Blood Pressure: Customers commonly report reductions of 30-50 points. Many have said that during and after using the HCG diet protocol their blood pressure is lower without medication than it had been prior to following the protocol when they were using prescription blood pressure medications. We get sporadic isolated reports of individual negative occurrences. One women reported being faint for the first 4 or 5 days. In discussion it came out that prior to following the protocol this woman had regularly consumed 6-12 cans of sugar-sweetened soft drinks every day and went cold turkey the 3rd day into the HCG diet program. My first reaction to that story is that by far the biggest change and shock to her system was suddenly eliminating the sugar she had probably grown dependent on. She reported being perfectly fine by the 2nd week. We had a couple of women in the middle of last summer say they became faint during the HCG protocol. Even though the instructions we distribute with the program are quite clear about the need for drinking plenty of water some people later admit they are afraid they’ll be running to the bathroom all day and drink less than is recommended. The need for water especially during summer may be magnified when eating smaller amounts than is your norm. Some people are concerned that they “heard” that HCG causes headaches. HCG injected by doctors for the purpose of increasing fertility is usually administered in 10,000 i.u. doses and headaches are acknowledged to be a possible side effect when used in that manner. When injecting HCG for weightloss purposes the typical dose is about 125 i.u. per day. An entire 6 week bottle of dilute homeopathic HCG solution used for weightloss probably contains less than 10 i.u. of HCG. Despite this the homeopathic drops appear to be at least as effective as injections when used for weightloss. Like all homeopathic medicines the chance of negative short or long term side effects is nearly non-existent. Homeopathics generally either work beautifully or they don’t work at all, but they are typically the safest of all healing modalities. 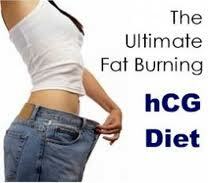 *The HCG diet program is powerful and can create impressive results quickly. Many people say it’s the easiest diet plan they’ve ever tried. However, in the unlikely event that an HCG user experiences an unusual side effect he or she should seek the advice of a qualified medical practitioner.